Isn't it lovely when marketing people come to you, having read your blog, with content that you are actually interested in posting? 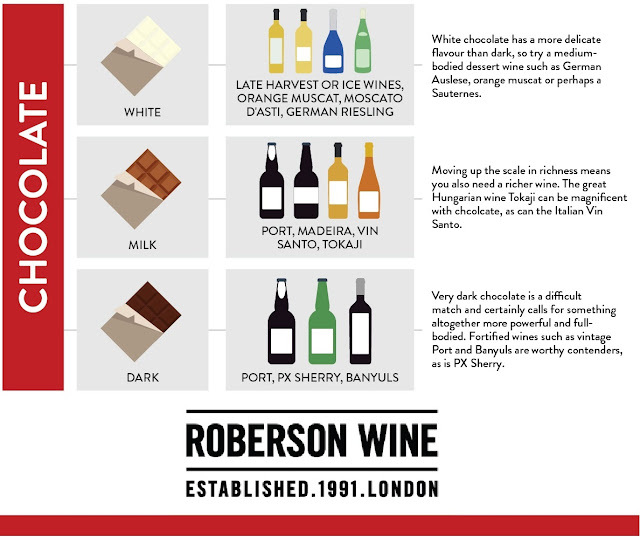 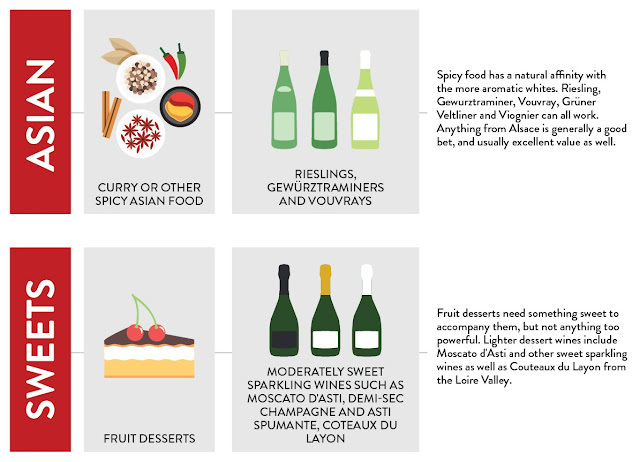 Well, Roberson Wine got in touch, knowing that I love food knowledge as well as eating the stuff and sent over this infographic. 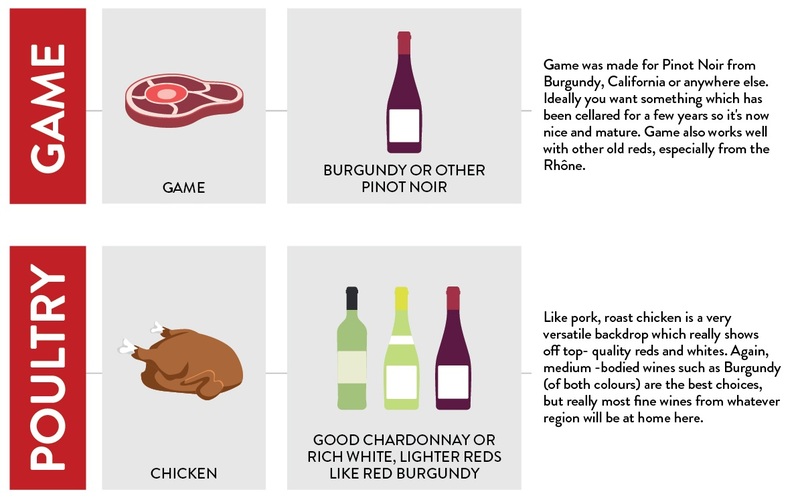 I don't drink wine that often but I love learning about food so I still found this super interesting! 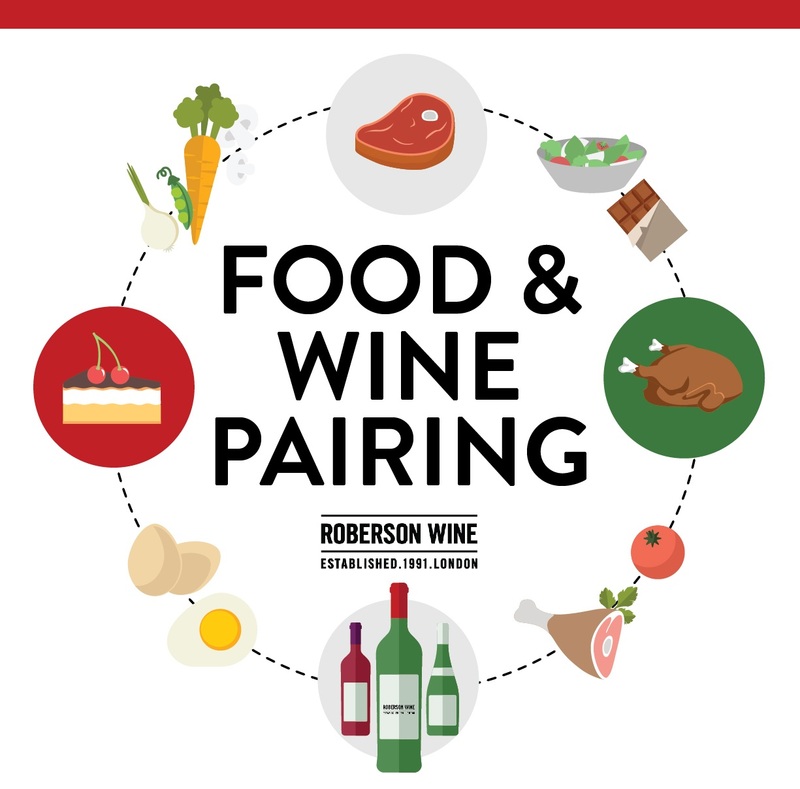 And with London Wine Week finishing yesterday, what better timing?! 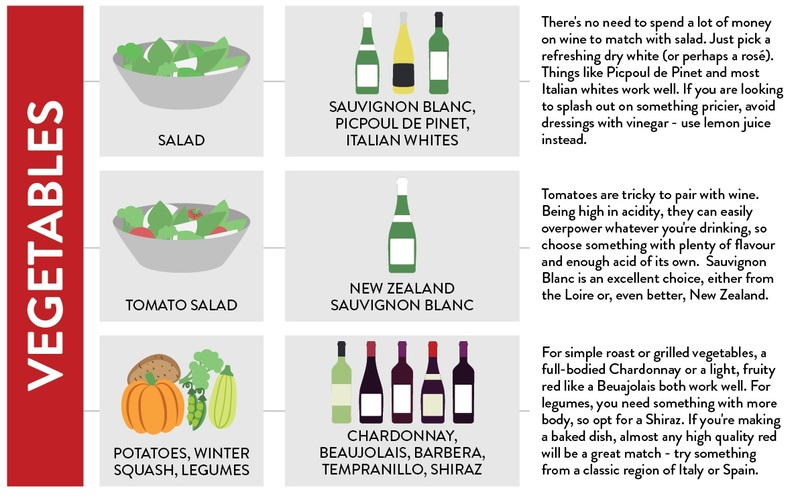 If I am drinking wine, it isn't usually with a meal although its a well known fact that they right wine can totally enhance the taste of whatever your eating. 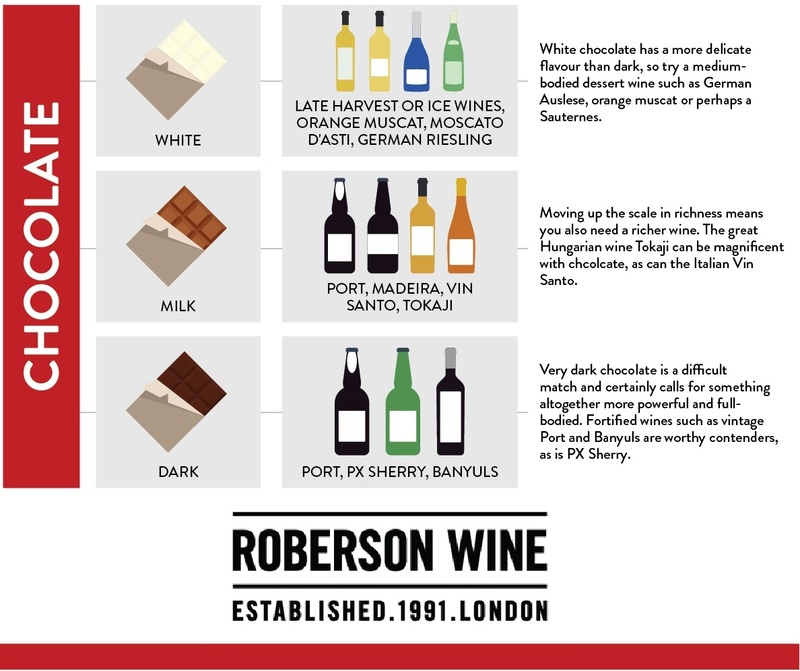 I was super surprised to see that, that is even the case with chocolate! 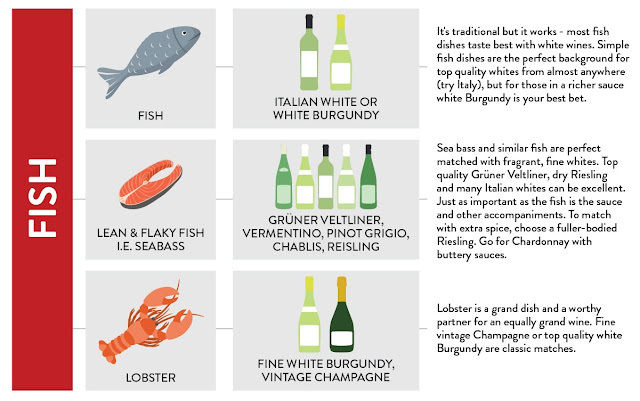 My favourite pairing from this list - and the one that I have most often - is Lobster and Champagne. Andrew and I were only in Burger and Lobster last week, with our bottle of prosecco - it's nice to know what we fancy is actually known to work well! 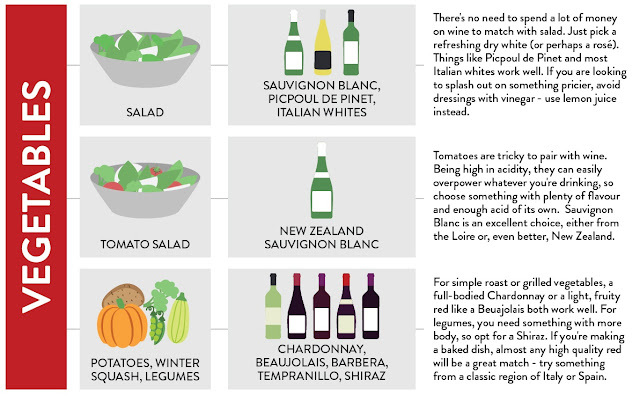 Do You Pair Your Wine With Your Food?